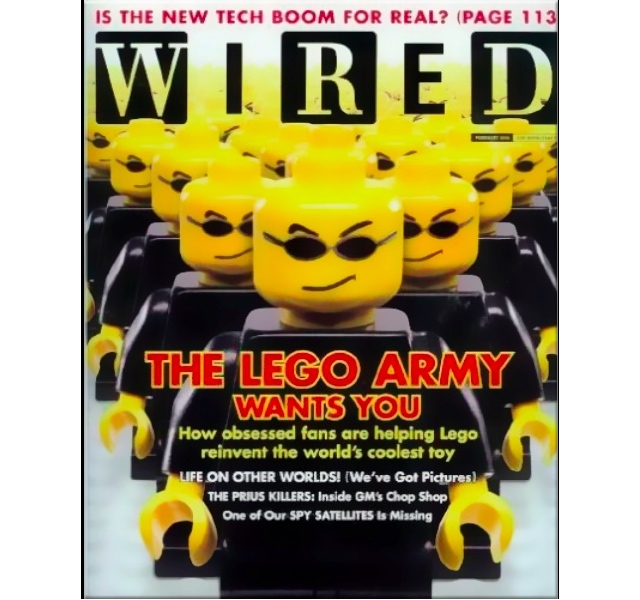 In the fall of 1984, Kjeld Kirk Kristiansen – then the CEO of Lego (and grandson of its founder) – happened to watch a television interview featuring MIT professor Seymour Papert. In it, Papert demonstrated how children could use the programming language he’d developed, LOGO, to control robot “turtles” – to move the robots forward and backward a specified distance, turn right or left a specified degree, drop a pen and draw. Lego had created a special education division some years earlier and with the launch of the Technic line had begun to offer construction sets with pneumatics and motors. 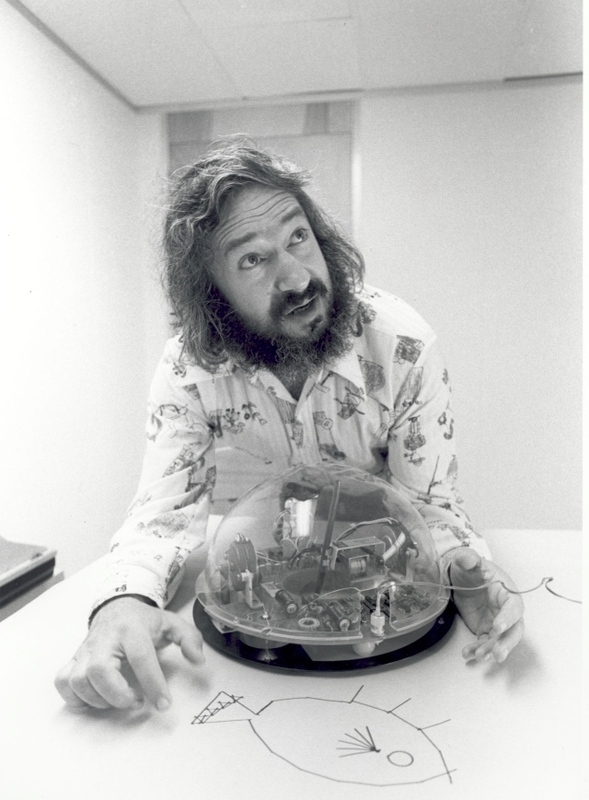 Kristiansen was struck watching Papert by the similarities between constructionism – Papert’s theory of learning – and his own company’s philosophy about building. Kristiansen was intrigued by the possibilities of expanding Lego’s capabilities for learning and play: children should be able to build and control – program – their creations. Kristiansen arranged a visit to the MIT Media Lab where Papert worked, launching the long-standing partnership between Lego and the lab. Researchers at the Media Lab were already investigating ways in which Lego and Logo could work together. Children have used LEGO/Logo to build a wide assortment of creative machines. A few examples: a programmable pop-up toaster; a “chocolate-carob factory” (inspired by the Willy Wonka children’s stories); a machine that sorts LEGO bricks according to their lengths; and an “ejection bed” that automatically tosses its occupant onto the floor when the sun shines through the window in the morning. Working on projects like these, children experiment with many different types of design: structural design, mechanical design, software design. LEGO/Logo might be viewed as a “multi-media construction kit,” allowing students to build and create in several different (though interconnected) media. 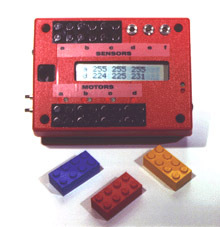 The Media Lab and Lego developed TC Logo (which was sold only to schools) and later Control Lab, which expanded upon the traditional Logo commands (forward, backward, turn, repeat) so as to control sensors and turn motors on and off. Like the early robot turtles, these programmable Lego constructions were still tethered to a computer with wires. So Papert wondered if it would be possible to create a Lego brick that could serve as the computer – a fully programmable brick. The design challenge was not simply to be able to control a mechanical object built out of Legos. The programmable brick had to be a Lego – that is, it had to have the stud face. It had to be cheap and small and light enough to be carried around by a Lego model. A working prototype was built by the Media Lab in 1987, but it wasn’t until a decade later that Lego trademarked Mindstorms – a nod to Papert’s 1980 book Mindstorms: Children, Computers, and Powerful Ideas – and brought the programmable brick to market. In January 1998, Mindstorms was unveiled at the Royal College of Art in London; the official launch date came in September of that year. By December 1 of that year, it had sold out. There have been three generations of Lego Mindstorms: the Robotics Invention System (launched in 1998), Mindstorms NXT (launched in 2006), and Mindstorms EV3 (launched in 2013). It’s worth noting that, along the way, these releases have included separate (and sometimes quite different) kits for retail and for schools. The programmable brick in the first Robotics Invention System was called the RCX (Robotic Command eXplorers). It could be programmed using RCX code or ROBOLAB, which was based on LabVIEW. (This software was developed by Tufts University’s Chris Rogers and commercialized by National Instruments.) The RCX had a 16 MHz processor with 32K RAM. In addition to the brick, the kit also included two motors, two touch sensors, and one light sensor. The NXT kit contained three servo motors, one light, sound, and distance sensor, and one touch sensor. The NXT 2.0 added another touch sensor. The brick had a 48 MHz processor with 64 KB RAM. 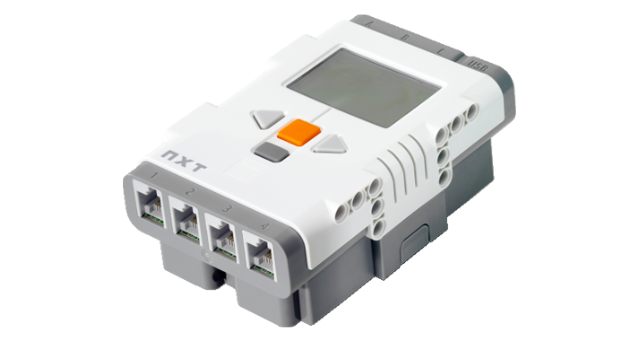 The NXT software in the retail set was NXT-G; the education kit came with ROBOLAB. 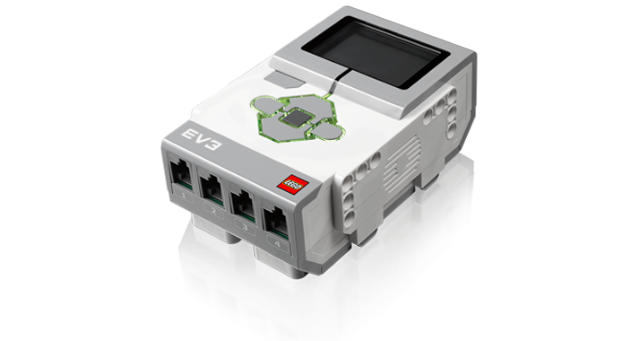 The brick in the latest model, the EV3, runs Linux. It boasts a 300 MHz processor and 64 MB RAM plus 16 MB Flash memory. It also includes a USB connector and a Micro SD slot and supports WiFi and Bluetooth connections. The education set runs a version of LabView and contains two large motors, one medium motor, two touch sensors, one color sensor, one gyroscopic sensor, and one ultrasonic sensor. The education set does not, however, contain enough Legos to build the designs in the retail set. By the time the Lego Mindstorms NXT was released in 2006, the acronym “STEM” was becoming increasingly prevalent in education debates (although it’s worth pointing out that panic about American students’ lack of preparedness in these fields is much, much older). Robotics were viewed as a compelling means to engage students in engineering. As such, Lego Education has expanded the Mindstorms product line to include the WeDo Construction set, aimed at younger students. 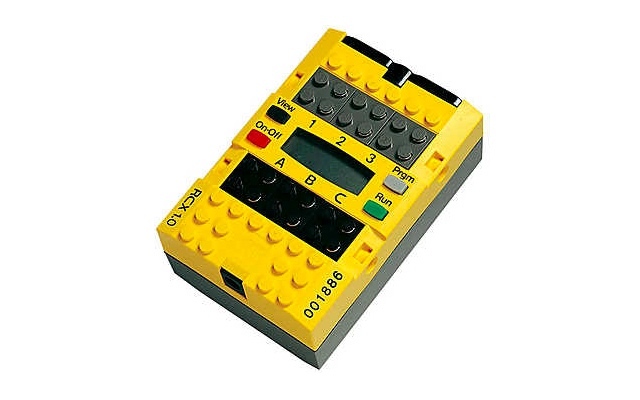 WeDo models are still tethered to a computer and are programmed via a Scratch-like interface, not via a brick. For older, high school-age students, Lego Education also offers Tetrix, a set with metal pieces and a more rugged motor. One of the many tensions that runs through the Mindstorms product line: can you design a commercial product that meets the needs of classrooms and the demands of consumers? Can you design one that meets the needs of learners and the demands of hobbyists? These needn’t necessarily be competing desires, of course, and as Lego offers two products – one retail and one educational – some of this is addressed in that very separation. But the importance of the retail version in driving the Mindstorms line cannot be underestimated. It is one of Lego’s bestselling products – notably, the majority of buyers are adults, and this has undoubtably shaped its development. The differences between the retail and education versions are fairly significant – but they’re cultural and pedagogical, not just technological. “In Billund, Denmark, not only is the customer always right, he’s also a candidate for the R&D team,” the article concludes. The pronoun is apt – all the fans and engineers and “citizen developers” in the story, much like the minifigs on the cover, are men. The Lego hobbyist community has long been influential, and the company has wisely courted it. Shortly after the launch of the original Mindstorms, Kekoa Proudfoot reverse engineered the RCX brick and posted everything online; soon after Markus Noga developed his own Lego operating system, LegOS. Incidentally, the Digital Millennium Copyright Act had been passed in 1998, the same year as Mindstorms’ launch, criminalizing the circumvention of DRM. The DMCA remains a powerful legal tool by which companies can demand the takedown of copyrighted materials online. But in this case, Lego opted not to view any of the “hacks” as infringement on its intellectual property. While Mindstorms has remained fairly tinkerable, it’s debatable whether or not it’s always been open as in welcoming to all users. The titles of some of the early Lego Mindstorms expansion sets: RoboSports, Extreme Creatures, the (Star Wars-branded) Droid Developer Kit, the Dark Side Developer Kit, and SpyBotics. These, along with the “battle bot” framing of some of the early robotics competitions, were clearly not marketed to girls. To its credit, Lego has taken some of this criticism about the gendered design and marketing of the product to heart in the latest educational version – particularly important as studies have shown girls’ interest in STEM drops off significantly in middle school, the target age for Mindstorms. The EV3 models include a friendly looking GyroBoy, a dog, and an elephant. But the retail models still imply robotics are a boy’s world; they include Gripp3r, Spik3r, R3ptar – a spiked grappling robot, a scorpion, and a rattlesnake. 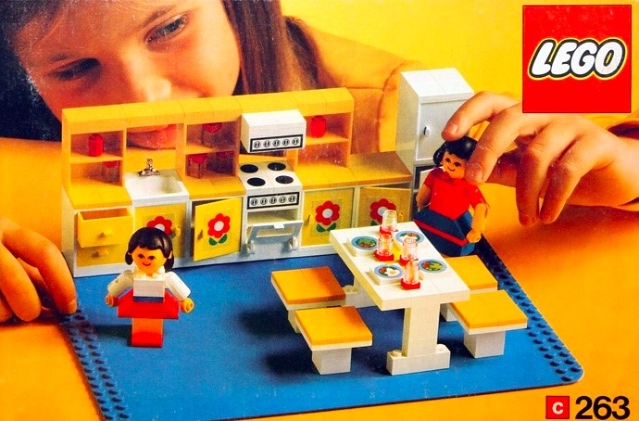 Just as some yearn for the “good old days” of gender-neutral marketing, there’s a nostalgia too for a time when Lego’s sets were more open-ended. Sure, there were still pictures on the box showing what you could build, but the play and the pieces were pretty open-ended. Today’s sets are more akin to models, with step-by-step instructions with what you should build. Moreover, in the last few decades, Lego has found great commercial success with pop culture branded sets, which began when the company struck a licensing deal with Lucasfilm Ltd around the same time as the launch of the first Mindstorms set. Star Wars Lego, Harry Potter Lego, Marvel Super Heroes Lego, Lord of the Rings Lego – these titles have helped Lego stay competitive with video games and other electronic toys. Yes, you can make your Gandalf minifig ride an X-Wing Fighter and lead the invasion of the Hydra Fortress – hooray, imagination! – but, again, the storytelling and play are much more scripted, the Lego pieces themselves much more restrictive. In some ways, the educational version of Mindstorms faces a similar problem as it struggles to balance imagination with instructions. As the product have become more popular in schools, Lego Education has added new features that make Mindstorms more amenable to the classroom, easier for teachers to use: portfolios, curriculum, data-logging and troubleshooting features for teachers, and so on. That constructionist element is still there, of course – in Lego the toy and in Lego Mindstorms. Children of all ages continue to build amazing things. Yet as Mindstorms has become a more powerful platform – in terms of its engineering capabilities and its retail and educational success – it has paradoxically perhaps also become a less playful one. But as it’s a Lego – and therefore compatible with all the other Lego bricks – you can still take that programmable brick out of the Mindstorms kit – out of the curriculum, out of the robotics competitions, beyond the step-by-step instructions, beyond the picture on the cover of the box. You can build your own creation, and then, as Kjeld Kirk Kristiansen and Seymour Papert envisioned some 30 years ago, you can actually program it.